This week was exciting! My mom and dad, aunt and uncle and friends came to watch the game. 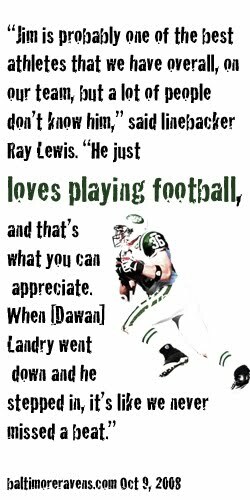 Unfortunately, Dawan Landry was hurt during the game. He had a "spinal concussion" but is now able to move all his extremities and is expected back in possibly 4 weeks. After seeing what Kevin Everett went through last year, it is a relief that Dawan is okay. Jim filled in for him on the defense and was also filling in for Figurs at Kick and Punt Returns. It was really fun to watch Jim play!